The newly reformed Black Dog trio, now comprising of original member Ken Downie alongside Sheffield stalwarts Martin and Richard Dust, find themselves cutting a new path through off kilter techno steppage, following up the wicked 'Floods' 12", with more advanced tech variations, whilst retaining that special Black Dog magic. 'Set to recieve' cleanses the aural palette with a bulging sub driven techno steppers groove and a sparklingly piquant synthline, bubbling away with a strange and ethereal quality, comparable to the more listenable moments from those other masters of Yorkshire magick, Throbbing Gristle. 'EVP echoes' is another product of this unique South Yorkshire location, making nods towards another of it's most influential groups, Cabaret Voltaire with a primitive electro groove, embellished with classic impressive production skills and a slightly updated style. 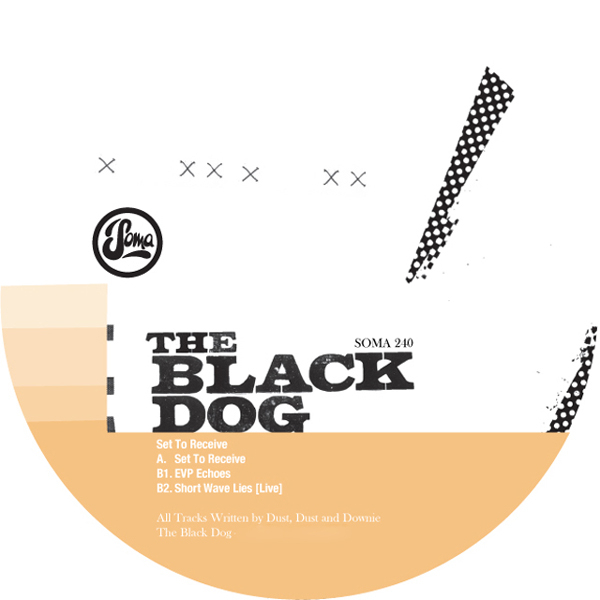 The live version of 'short wave lies' rounds out the e.p with a classic Black dog techno trip, utilising Detroit styled melodics and a supple 4/4 groove to serious effect. Excellent stuff.